I approach the training of coaches and my own work as a coach using the process of having a pre-conference, an observation and post-conference. This structure exists in most of the training that administrators have received in clinical supervision. For me, a large part of what differentiates coaching from a supervisory model is that most frequently the coaching post-conference turns into a pre-conference. 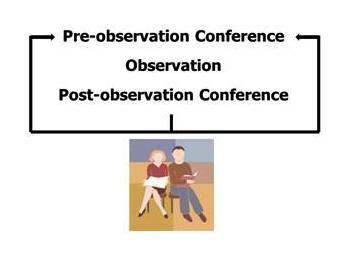 Having a pre-conference with a teacher creates an agreement on what to observe. Having done the observation, a post-conference provides the teacher with feedback. Exploration of feedback most often leads to a next step. It might be that a question emerged during the post-conference leading to another observation to collect more information or it could be that an idea emerged for a change and so we’re doing a follow-up observation to identify the impact of the teacher implementing that change in his or her classroom. For me, the pre-conference is a critical component of effective coaching. Strangely enough, I find that people who are pressed for time commonly end up skipping it. When training coaches, I put the greatest amount of time into pre-conferencing because if my pre-conference is effective the rest of the process flows easily. With an effective pre-conference, I know what to watch and record during my observation. I know exactly the feedback the teacher is looking for in the post-conference. I build my trust as a coach by delivering in the observation and the post-conference what we had agreed to in the pre-conference. A quality pre-conference sets the stage for building trust. 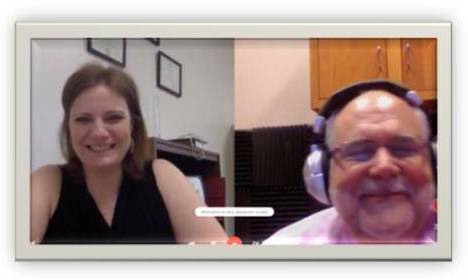 What follows is a model pre-conference, that I recorded with Kelly Stevens from the Northern Valley School District in New Jersey. Kelly and I modeled this for a coaches’ training that the district was conducting. Steve: Kelly, Since I’m meeting you for the first time, give me a quick introduction to Kelly the teacher. Who’s Kelly the teacher? Kelly: I am a third-grade teacher who’s interested in trying new things to help my students. I also am little bit nervous about that because I’m new and I want to do well in my observations. Kelly: I would like to see increased engagement to make sure that I’m meeting all of their needs. I have some students who are classified, and I have some students who are on a much more independent level. I feel like at this point I need some guidance in making sure that I’m meeting all of those needs. Kelly: It’s going to be a math lesson on writing numbers in different forms: standard form, expanded form, and word form. One of the ideas that I want to try, that I’ve been playing with, is the math workshop model. There would be a mini-lesson and then three stations that the students would cycle through three different activities. One would be with me, and then two others would be independent activities. What I would ideally like to see, is that in the stations when they’re not with me, that they’re engaged in what they’re doing, writing numbers in the different forms. Steve: Is there any student interaction with other students during the independent stations? Kelly: In one of the stations, there is the partner activity, a go-fish matching game. Students would have to match the expanded form of the number to the standard form of the number or the word form of the number depending on the cards. Kelly: There would obviously be some talking about math. I would ideally like to hear the words expanded form, word form, and standard form. I would like to hear them using the appropriate ways to say the numbers as well as helping each other if needed. If someone wasn’t sure which form it was, having the partner there to discuss possibilities. Steve: How do you see that center fitting with your description of some of your students being more independent in their skill level than others? Kelly: One of the things I had thought about doing was possibly having several sets of cards so that there might be some more challenging numbers for some students. My concern is if other students see those numbers and they might feel badly that they didn’t get that particular deck. Steve: What are you going to do about that feeling you’re having? Kelly: That’s a good question. My idea was that I would just hand them the cards. I mean they’re going to be in a similar area but they’re not going to be right next to each other. I have talked with them about how being fair doesn’t mean everybody gets the same activity. It’s everybody getting what they need. I’m hoping that my giving them the cards without them just picking them will alleviate some of that. Steve: It sounds like you want to run an experiment. Kelly: Yes. I think that is a format I would like to try. Steve: I would focus on that center and record the students’ names. If two students pair up, I’ll jot down both of their names. Underneath that I’d record the actual language that I heard the students using. If one asks a question, I’d write down the question. If one gave up; I’d record that. If one told the other one the answer, I would record the exact words that I heard. Steve: I’m wondering if the fact that I could do it by name, will allow you to look at the data I’ve collected and be able to read a lot more into understanding the data than I could, not knowing the students. Kelly: Yes. I think that would be very helpful. I enter a pre-conference with a goal of understanding the teacher’s agenda and establishing a focus for the observation. Agenda means I’m looking to understand what Kelly is thinking. She gave that to me rather clearly. What she wants to make happen. What her fears are. What her concerns are. As much as possible, I want to look at the classroom through her eyes. The second element I want is to establish a focus for the observation. Focus is what differentiates coaching from evaluation. When evaluators come into the classroom, they actually have to avoid getting a focus because it would throw off the accuracy of their evaluation. Evaluators need to pay attention to everything. When the coach comes into the classroom, they’re going to disregard the majority of what’s going on, and zero in on the focus. If you think about this observation, there’s a lot going on in Kelly’s classroom. There is the other center and the students whom Kelly’s teaching, but all my focus is on recording student behaviors (by name) in the one group. This pre-conference with Kelly took 6 minutes. That’s a very short amount of time to invest in order to maximize the learning results coming from coaching. 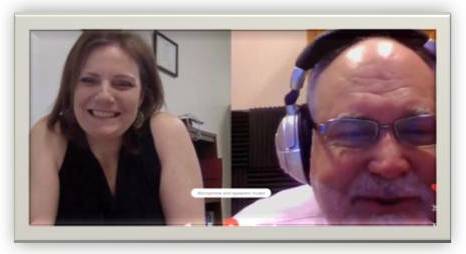 You can listen and share this pre-conference in a podcast found here. Terrific post. It’s all in the conversations (I call them pre- and post-conversations rather than conferences). Your reflective questions are critical to the success of both the lesson that will follow and the post-conversation. Thanks for sharing!